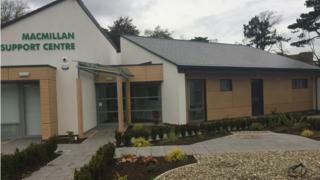 A new cross border cancer support centre has opened at Londonderry's Altnagelvin Hospital. The Macmillan Support Centre is part of a new Health and Well Being Campus at the hospital. It has been developed in a partnership between Macmillan Cancer Support and the Western Health and Social Care Trust. It provides support to people affected by cancer and other long-term conditions. The centre will provide support for patients across the Western and Northern Trust areas, as well as from the Republic of Ireland. Paula Kealey, Strategic Partnership Manager at Macmillan Cancer Support said a diagnosis of cancer is often devastating for the individual and for their family and friends. "We are bringing important services together in one place, making it easier for people to ask questions, share their concerns and find out more about the services that can help them in a place that feels more like home than a hospital," he said. Fiona Beattie, the Western Trust's assistant director of cancer services, said the campus "will complement the services provided at the cancer centre and give more support to our patients as they live and manage their condition".